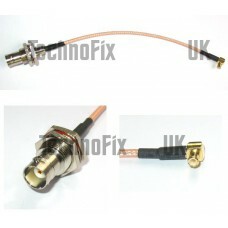 Angled MCX male to BNC female pigtail for RTL-SDR dongles, Newsky TV28T etc. 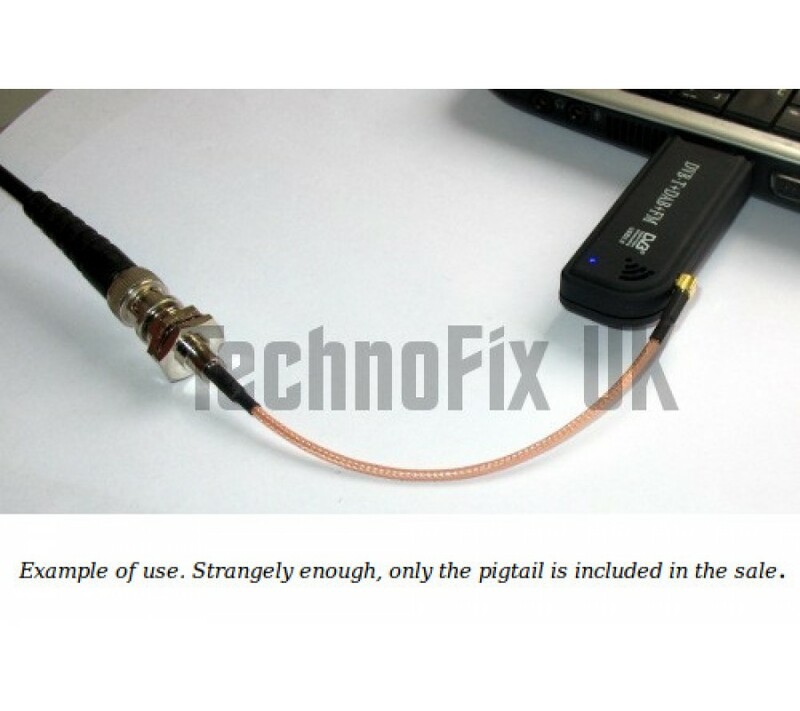 This handy cable enables you to quickly and easily connect antennas with a BNC connector to your USB RTL-SDR stick. Length approx. 15cm. 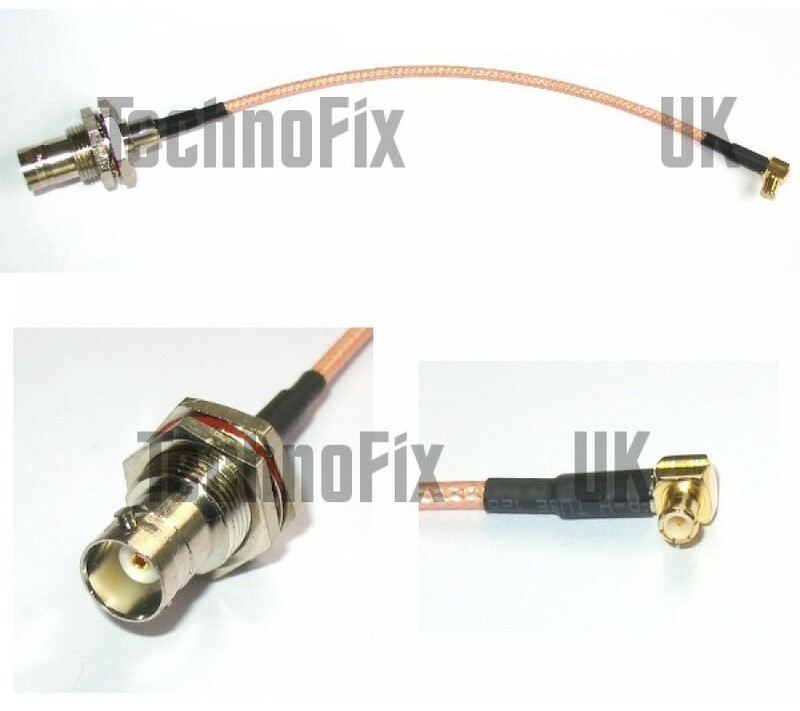 The female BNC connector is a bulkhead type, so is also perfect for if you want to mount your SDR stick in a case. Also available with a straight MCX connector.